There are so many types of Lingzhi in the market. How do you know which is the best? Lingzhi from Shuang Hor can be regarded as the benchmark for a high quality Lingzhi. What makes it so? 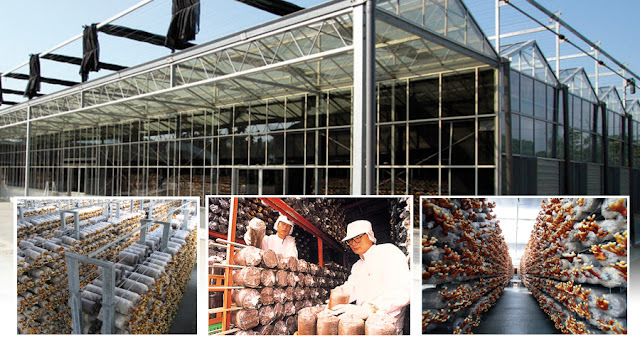 Listed below are 4 important criteria for identifying and selecting high quality Lingzhi. They are Species, Cultivation, Processing Method and Accreditations. There are more than 2,000 types of mushrooms in this world. Out of this, only about 10% (200 types) are edible. Out of this, only about 20 are in the Lingzhi/Ganoderma category, which give therapeutic effects. In this 20 species, it is subdivided into about 205 strains of ganoderma. Out of these 205 strains, about 10 can be cultivated in large quantities to provide raw material for human consumption. Lingzhi are differentiated by color. Red lingzhi is the most commonly used and have the highest active ingredients. (c) possess strong anti-pollution capacity. It is important to highlight that not all Lingzhi are safe to eat. For instance, pregnant women are advised against eating certain Lingzhi. However, Shuang Hor's Lingzhi is very safe and in fact, is recommended for consumption by everybody, including a 2-day old baby, pregnant ladies, terminally ill patients and elderly people. Lingzhi grow on other plants. They are by nature very absorbent, meaning they will absorb what is in the environment around them, be it poisons from snakes or pollutants from the air. As such, Lingzhi grown in the wild may not be safe to eat as we do not know the environment they have been exposed to. (a) Humidity of approximately 85% to 95%. The moisture content is relatively high. (b) Temperature of between 26'C to 32'C; not too hot, not too cold. (c) Lighting should be as dim as possible during mycelium growth and enhanced gradually as the fruiting body develops. (d) Ventilation whereby the concentration of carbon dioxide should be less than 300 ppm. 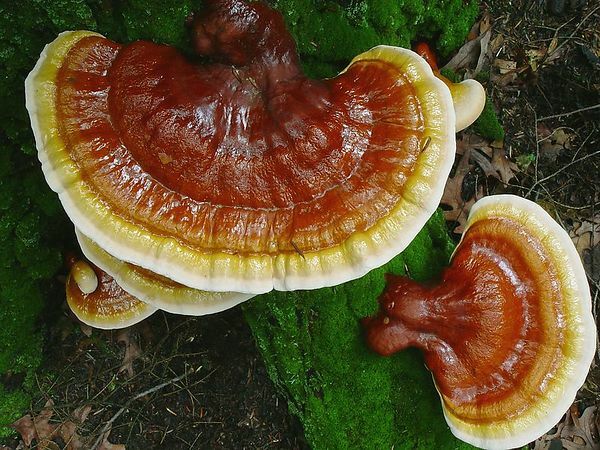 (e) Culture media (food for ganoderma) should comprise of good sawdust and mixed with a sufficient combination of essential nutrients such as proteins and minerals. That is why Shuang Hor's Lingzhi are grown in greenhouses, which are properly controlled to fulfill all the above requirements. This allows the company to give a steady, uninterrupted supply of quality lingzhi the whole year round. (a) Coarse crushing. Dried ganoderma raw materials are crushed to powder of an appropriate size (not too big or too small), to expand the surface area to increase extraction rate and facilitate filtering in the latter process. (b) Extraction. This is the core procedure whereby the Dual-Phase Extraction method is used to extract the 2 main components, namely triterpenoids (at a low temperature) and polysaccharide (at a high temperature). This 2 levels of extraction takes into account the ratio of solution volume to ganoderma weight, extraction temperature, time, stirring rates and many other factors. (c) Concentration. The liquid ganoderma obtained from extraction is then concentrated before proceeding to the next step, drying. The production design must take into account factors such as temperature, degree of vacuum, time, recovery rate and solid content to retain the original molecular forms of active compounds. (d) Drying. The most suitable drying method is the Vacuum Freeze-Dry method. The liquid concentrate is frozen to minus 30 degree celsius and the sublimated vapour removed by high-vacuum pumps, leaving behind the ganoderma solid extract. Essentially, the ganoderma turns from liquid state into solid state in vacuum, then from solid state to powder, while at the same time keeping the special active ingredients of the ganoderma intact. The variables here include the exact freezing temperature, time, degree of vacuum, freezing space, freezing efficiency and refrigerant recovery. 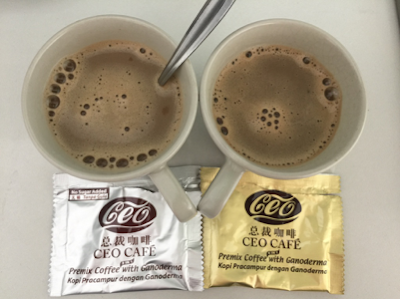 By this method, the ganoderma extracts (in powder form) are retrieved in the optimal way and in the shortest time possible. Shuang Hor's Lingzhi has been certified with many government endorsements, including the Health Ministry of Malaysia, Health Science Authority of Singapore and Japan Health Food Association. It has also been endorsed by the Health Ministry of Taiwan with accreditations in Immuno-Regulation and Liver Protection functions. Shuang Hor also complies with the Class-A GMP Good Manufacturing Practice standards and has received the ISO 9001:2008 certification. For more details on the certifications, please refer to article Accreditation and Endorsements for Shuang Hor Lingzhi. Now that you have learnt how to choose the right lingzhi/ganoderma, please email me at laifuiping@gmail.com to purchase Shuang Hor Lingzhi for your health.